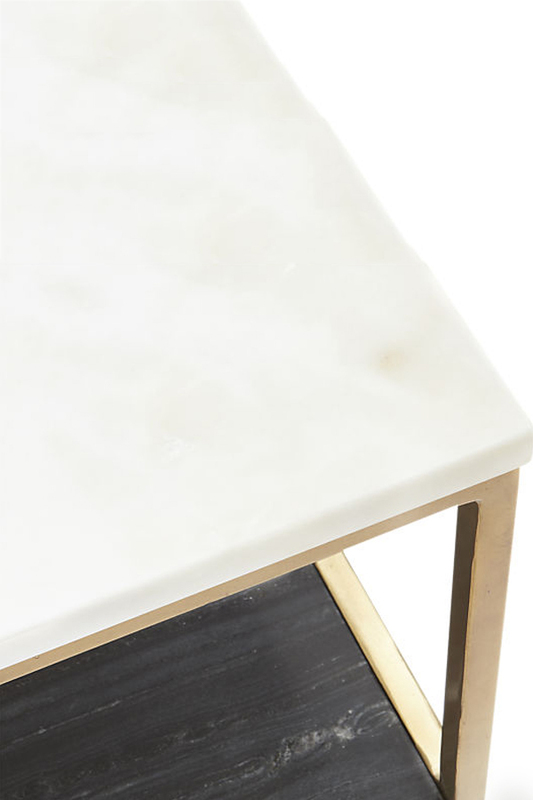 Clean lines and sleek metal meet the natural warmth of real marble for an eclectic modern mix. 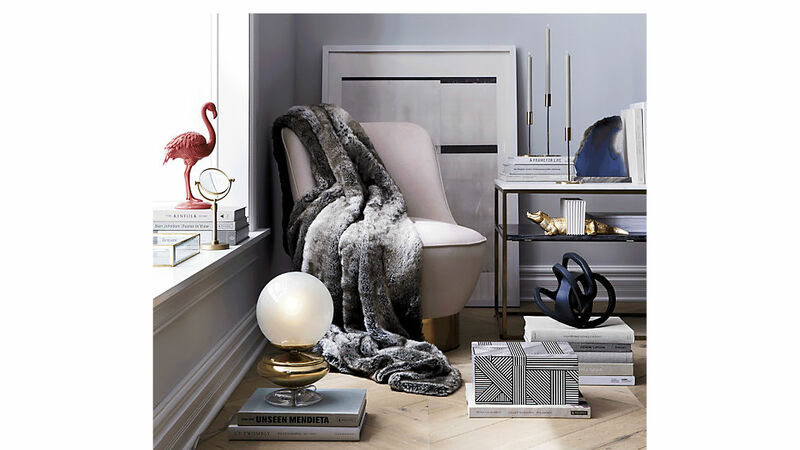 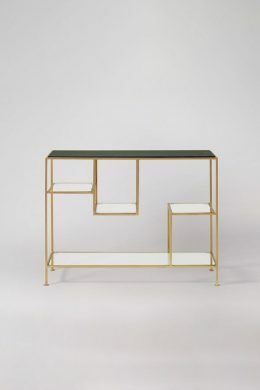 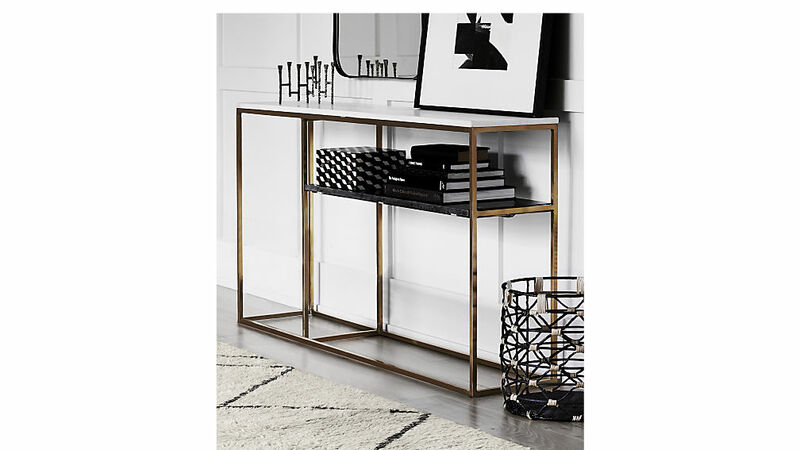 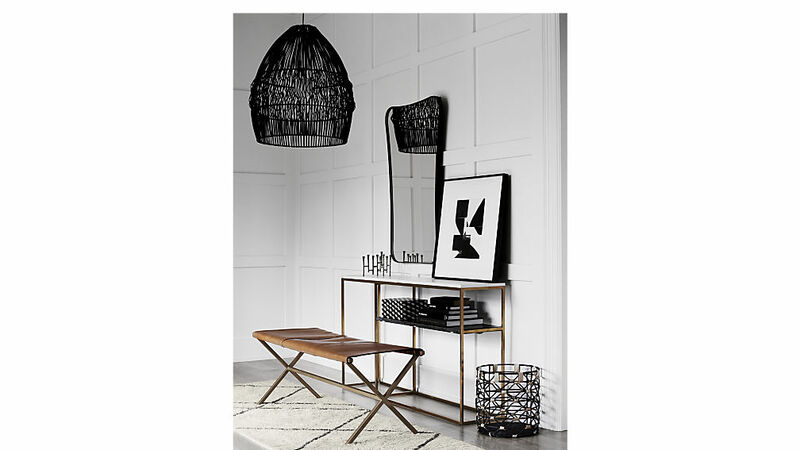 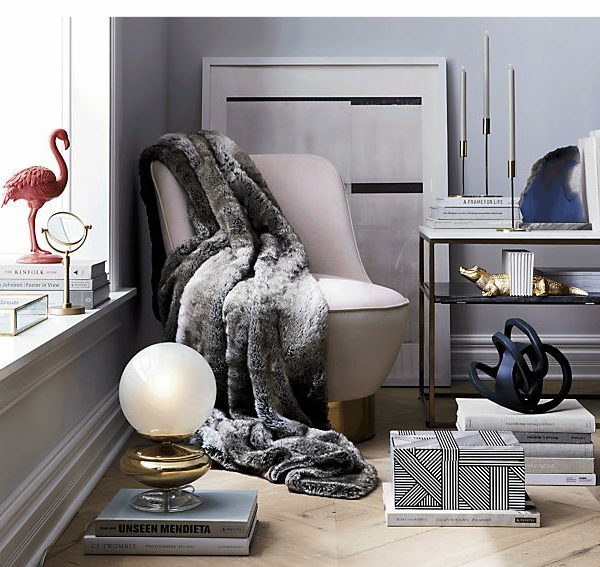 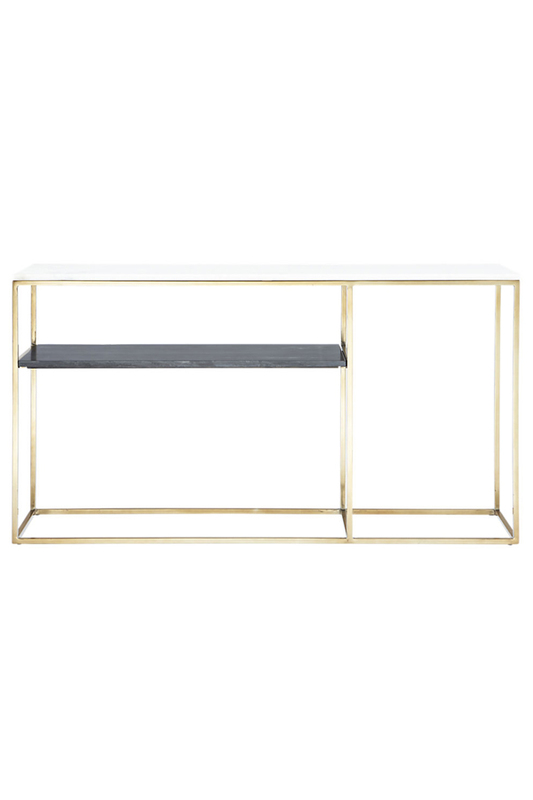 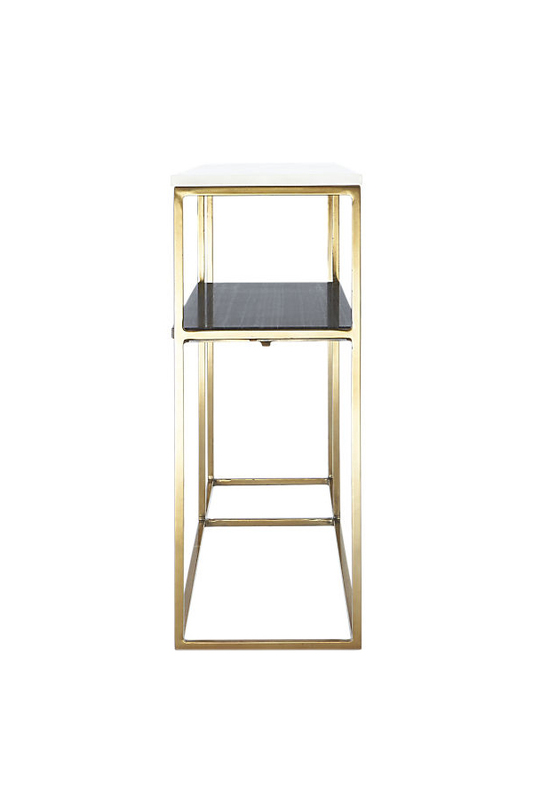 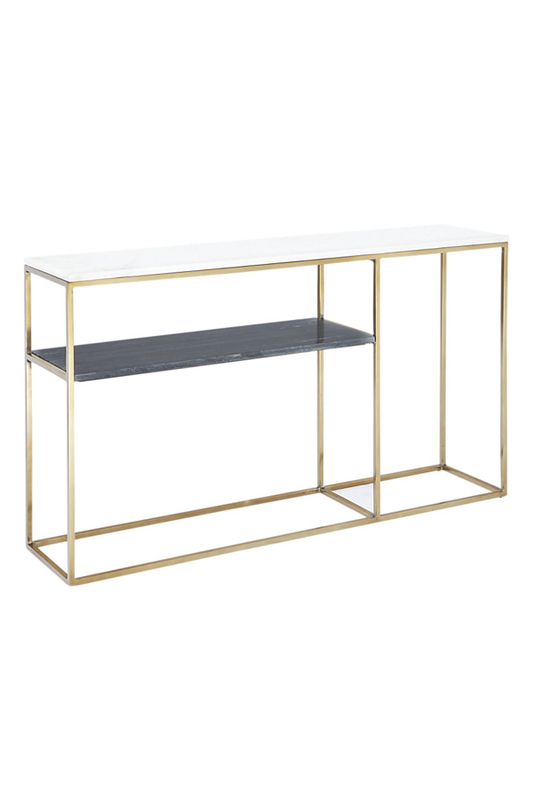 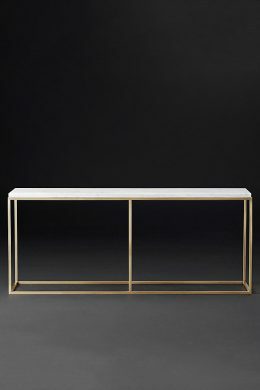 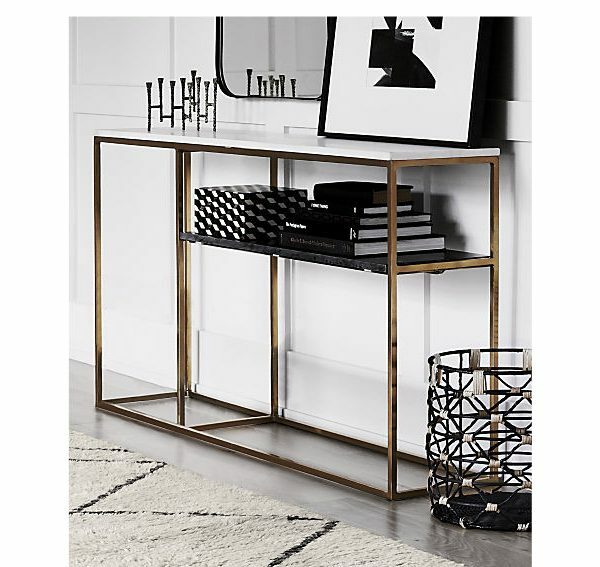 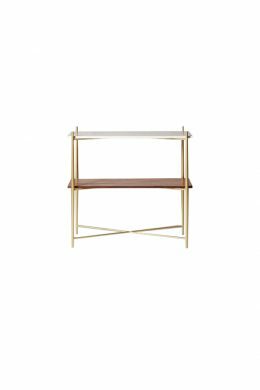 Linear open frame in warm brass supports two marble shelves––one white, one grey. 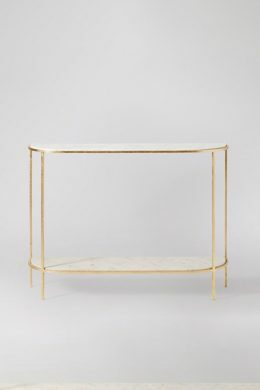 Never one to skimp on the details, we chose this grey marble specifically for its lovely linear striation. 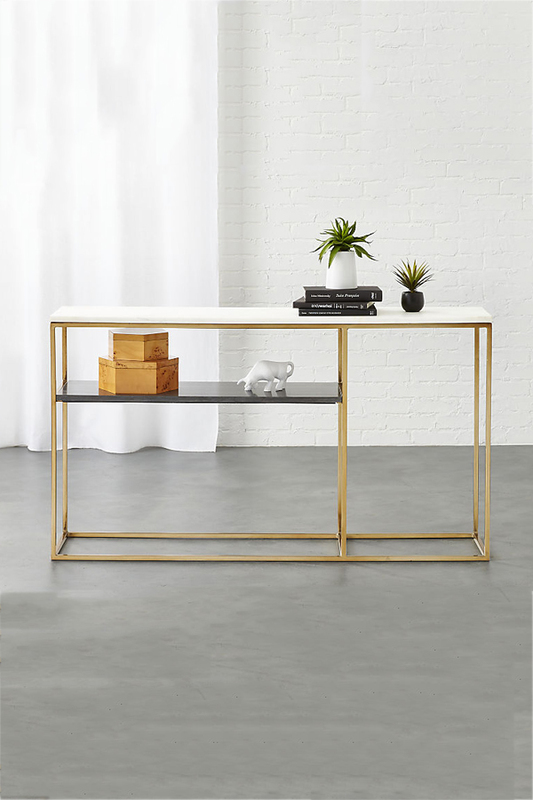 Both modern and timeless, console is one of those forever pieces.